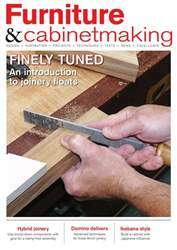 In issue 232 of Furniture & Cabinetmaking, we have lots for you to enjoy. 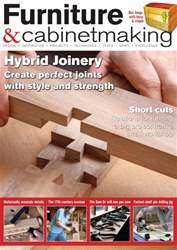 In our ‘Projects & Techniques’ section, Jennie Alexander and Peter Follansbee demonstrate two simple techniques to recreate authentic 17th-century mouldings; John Bullar looks at the gooseneck joint in a number of variants; Pete Simpson shows how he made and fitted wooden hinges to a box; Anne Briggs Bohnett explains why router planes are essential; Mark Harrell tackles the disassembly and cleaning of a vintage saw; we look at how you can make a piece of furniture twice the size of your workshop and still get it through the door; Chris Yates makes a stopped rebate jig and Geoffrey Laycock puts the specially designed shelf pin drilling set from Festool through its paces. 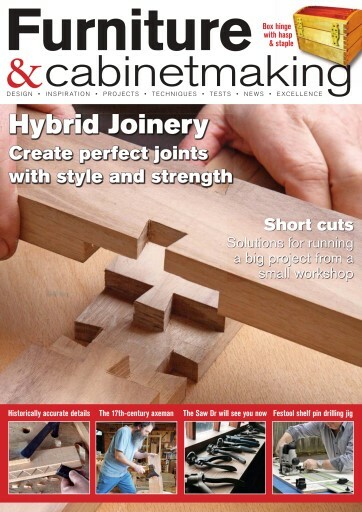 In ‘Design & Inspiration’ we speak to Peter Follansbee, who specialises in 17th-century joinery; Kieran Binnie talks about the effect of ‘community’ in the woodworking crafts; Jim Cooper demonstrates how to set up a bench plane in ‘Apprentice Notes’ and we take a look at another prized lot from Bonhams. 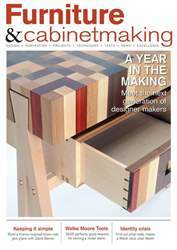 As well as all this, we also have ‘Leader’ from the Editor; ‘News & events’; ’F&CUK’; ‘Editor’s round-up’ and ‘workshop library’, where we have a number of furniture-related reads that we think you’ll enjoy, as well as our website of the month. 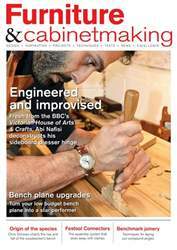 All this and more in issue 232 of Furniture & Cabinetmaking!